The Republic of Dahomey was established on December 11, 1958, as a self-governing colony within the French Community. Prior to attaining autonomy it had been French Dahomey, part of the French Union. On August 1, 1960, it attained full independence from France. 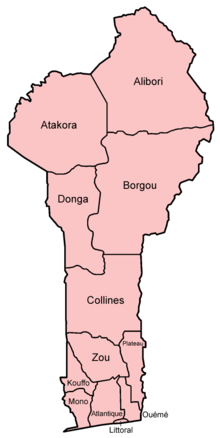 Fon is part of the Eastern Gbe language cluster and belongs to the Volta–Niger branch of the Niger–Congo languages. 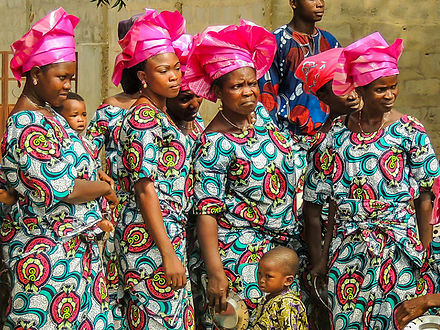 Fon is spoken mainly in Benin by approximately 1.7 million speakers, by the Fon people. Like the other Gbe languages, Fon is an analytic language with an SVO basic word order. Yoruba is a language spoken in West Africa. The number of speakers of Yoruba is approaching 80 million. It is a pluricentric language spoken principally in Benin and Nigeria, with communities in Sierra Leone, Liberia, other parts of Africa, the Americas, and Europe. The non-vernacular remains of the language, Lucumi, is the liturgical language of the Santería religion of the Caribbean. Many Yoruba words are used in the Afro-Brazilian religion known as Candomblé. Yoruba is also used in many other Afro-American religions in the Americas and the Caribbean. Yoruba is most closely related to the Itsekiri language and to Igala. The Slave Coast is a historical name formerly used for parts of coastal West Africa along the Bight of Benin. The name is derived from the region's history as a major source of African slaves during the Atlantic slave trade from the early 16th century to the late 19th century. Other nearby coastal regions historically known by their prime colonial export are the Gold Coast, the Ivory Coast, and the Pepper Coast. The People's Republic of Benin was a socialist state located in the Gulf of Guinea on the African continent, which would become present-day Benin. The People's Republic was established on 30 November 1975, after the 1972 coup d'état in the Republic of Dahomey. It effectively lasted until 1 March 1990, with the adoption of a new constitution, and the abolition of Marxism-Leninism in the nation in 1989. During the colonial period and at independence, the country was known as Dahomey. On 30 November 1975, it was renamed to Benin,  after the body of water on which the country lies—the Bight of Benin. This had been named by Europeans after the Benin Empire in present-day Nigeria. The country of Benin has no connection to Benin City in modern Nigeria, nor to the Benin bronzes. The form "Benin" is the result of a Portuguese corruption of the city of Ubinu (now Benin City). The Bight of Benin or Bay of Benin is a bight in the Gulf of Guinea area on the western African coast. The decline was partly due to the Slave Trade Act 1807 banning the trans-Atlantic slave trade by Britain and the United States following in 1808, followed by other countries. This decline continued until 1885, when the last slave ship departed from the coast of the modern Benin Republic bound for Brazil in South America, which had yet to abolish slavery. The capital's name Porto-Novo is of Portuguese origin, meaning "New Port". It was originally developed as a port for the slave trade. Recent migrations have brought other African nationals to Benin that include Nigerians, Togolese, and Malians. The foreign community also includes many Lebanese and Indians involved in trade and commerce. The personnel of the many European embassies and foreign aid missions and of nongovernmental organizations and various missionary groups account for a large part of the 5500 European population. A small part of the European population consists of Beninese citizens of French ancestry. 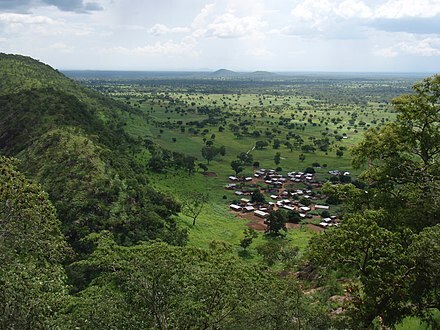 A range of mountains extends along the northwest border and into Togo; these are the Atacora. The highest point, Mont Sokbaro, is at 658 m (2,159 ft). Benin has fallow fields, mangroves, and remnants of large sacred forests. In the rest of the country, the savanna is covered with thorny scrub and dotted with huge baobab trees. Some forests line the banks of rivers. In the north and the northwest of Benin, the Reserve du W du Niger and Pendjari National Park attract tourists eager to see elephants, lions, antelopes, hippos, and monkeys. 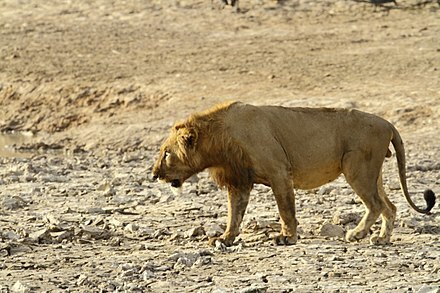 Pendjari National Park together with the bordering Parks Arli and W in Burkina Faso and Niger are among the most important strongholds for the endangered West African lion. With an estimated 356 (range: 246–466) lions, W-Arli-Pendjari harbors the largest remaining population of lions in West Africa. Historically Benin has served as habitat for the endangered painted hunting dog, Lycaon pictus;  however, this canid is thought to have been locally extirpated. 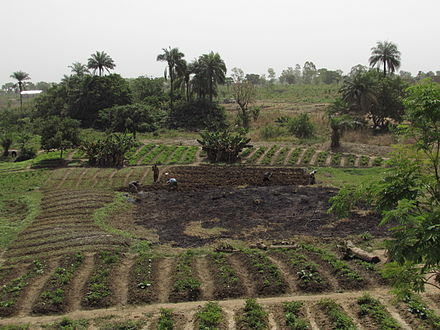 The economy of Benin is dependent on subsistence agriculture, cotton production, and regional trade. Cotton accounts for 40% of the GDP and roughly 80% of official export receipts. Growth in real output has averaged around 5% in the past seven years, but rapid population growth has offset much of this increase. [ when? ] Inflation has subsided over the past several years. Benin uses the CFA franc, which is pegged to the euro. The literacy rate in Benin is among the lowest in the world: in 2015 it was estimated to be 38.4% (49.9% for males and 27.3% for females). 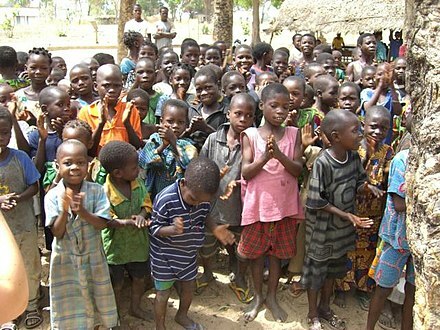 Benin has achieved universal primary education and half of the children (54%) were enrolled in secondary education in 2013, according to the UNESCO Institute for Statistics. Beninese literature had a strong oral tradition long before French became the dominant language. Félix Couchoro wrote the first Beninese novel, L'Esclave (The Slave), in 1929. Local languages are used as the languages of instruction in elementary schools, with French only introduced after several years. In wealthier cities, however, French is usually taught at an earlier age. At the secondary School level, local language is generally forbidden and French is the sole language of instruction. 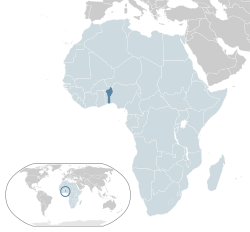 Beninese languages are generally transcribed with a separate letter for each speech sound (phoneme), rather than using diacritics as in French or digraphs as in English. This includes Beninese Yoruba, which in Nigeria is written with both diacritics and digraphs. For instance, the mid vowels are written é è, ô, o in French are written e, ɛ, o, ɔ in Beninese languages, whereas the consonants are written ng and sh or ch in English are written ŋ and c. However, digraphs are used for nasal vowels and the labial-velar consonants kp and gb, as in the name of the Fon language Fon gbe/fõ ɡ͡be/, and diacritics are used as tone marks. In French-language publications, a mixture of French and Beninese orthographies may be seen. 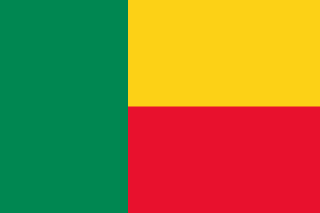 The Republic of Benin was formed in 1960 when the colony of French Dahomey gained independence from France. Prior to this, the area that is now the Republic of Benin was divided largely between two coastal kingdoms, Dahomey and Porto-Novo, and a large area of various tribes in the north. The French assembled these various groups together into the colony of French Dahomey, which was part of the various colonies of French West Africa from 1904 until 1960. In the independence era, the republic was extremely unstable for the first decade and a half of existence, with multiple governments and multiple military coups. In 1972, Mathieu Kérékou led a military coup deposing the Presidential Council and appointing himself as the head of state, a position he held until 1991 when the country returned to multiparty elections. Since that point, the state has held multiple presidential and legislative elections and a number of different parties have become important. This article concerns modes of transport in Benin. Benin is a country in Africa, which possesses railway and road infrastructure, as well as two seaports. Benin currently does not have rail connections to other countries, but new proposals seek to change this. Benin, officially the Republic of Benin, is a country in Western Africa. It borders Togo to the west, Nigeria to the east and Burkina Faso and Niger to the north; its short coastline to the south leads to the Bight of Benin. 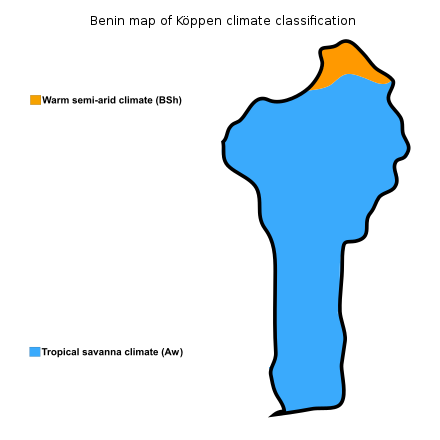 Its size is just over 110000 km2 with a population of almost 8500000. Its capital is the Yoruba founded city of Porto Novo, but the seat of government is the Fon city of Cotonou. About half the population live below the international poverty line of US$1.25 per day. Beninese American are Americans of Beninese descent. According to the census of 2000, in the United States there are only 605 Americans of Beninese origin. However, because in the first half of the eighteenth century many slaves were exported from Benin to the present United States, the number of African Americans with one or more Beninese ancestors could be much higher. The number of slaves from Bight of Benin exported to present United States exceeded 6,000 people, although this might consist not only in Benin, but also washes the shores of Ghana, Togo and Nigeria. It is also important to note that they were slaves from modern Benin, who planted voodoo in Louisiana. Currently, there are Beninese communities in cities such as Chicago or Washington D.C. and in other states as New York. 1 2 Annuaire statistique 2010 (PDF) (Report) (in French). INSAE. 2012. p. 49. Archived (PDF) from the original on 4 March 2016. Retrieved 17 December 2015. ↑ "BENIN en Chiffres" [BENIN in Figures]. INSAE (in French). Archived from the original on 17 December 2015. Retrieved 17 December 2015. 1 2 3 4 "World Economic Outlook Database, October 2018". IMF.org. International Monetary Fund . Retrieved 1 February 2019. ↑ "GINI index (World Bank estimate)". databank.worldbank.org. World Bank . Retrieved 1 February 2019. ↑ Hughes, R. H.; Hughes, J. S. (1992). A Directory of African Wetlands. 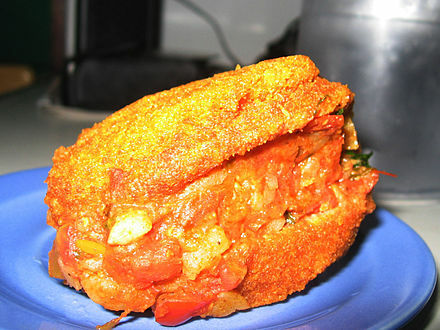 IUCN. p. 301. ISBN 978-2-88032-949-5. Archived from the original on 8 May 2016. Retrieved 12 October 2015. ↑ "Food and Agriculture Organization of the United Nations" Archived 24 October 2012 at the Wayback Machine . United Nations, 29 June 2010. 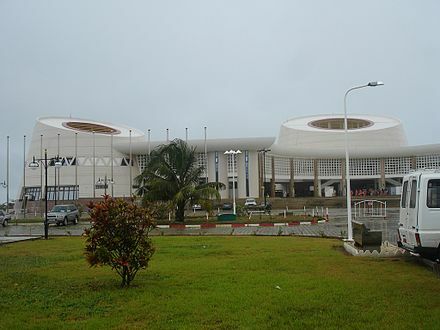 ↑ "Benin – International Cooperation" Archived 27 September 2010 at the Wayback Machine . Nation Encyclopedia (29 June 2010). ↑ Lea, David; Rowe, Annamarie, eds. (2001). A Political Chronology of Africa. Taylor & Francis. p. 33. ISBN 978-1-85743-116-2. Archived from the original on 3 June 2016. Retrieved 12 October 2015. ↑ Smith, Bonnie G., ed. (2008). The Oxford Encyclopedia of Women in World History, Volume 1. Oxford University Press. p. 535. ISBN 978-0-19-514890-9. Archived from the original on 22 November 2015. Retrieved 12 October 2015. ↑ Bay, Edna (1998). Wives of the Leopard: Gender, Politics, and Culture in the Kingdom of Dahomey. University of Virginia Press. ↑ Akinjogbin, I.A. (1967). Dahomey and Its Neighbors: 1708–1818. Cambridge University Press. OCLC 469476592. ↑ Law, Robin (1986). "Dahomey and the Slave Trade: Reflections on the Historiography of the Rise of Dahomey". The Journal of African History. 27 (2): 237–267. doi:10.1017/s0021853700036665. ↑ Creevey, Lucy; Ngomo, Paul; Vengroff, Richard (2005). "Party Politics and Different Paths to Democratic Transitions: A Comparison of Benin and Senegal". Party Politics. 11 (4): 471–493. doi:10.1177/1354068805053213. ↑ Harms, Robert W. (2002). The Diligent: A Voyage Through the Worlds of the Slave Trade. Basic Books. p. 172. ISBN 978-0-465-02872-6. Archived from the original on 9 May 2016. Retrieved 12 October 2015. ↑ Alpern, Stanley B. (1998). Amazons of Black Sparta: The Women Warriors of Dahomey. C. Hurst & Co. Publishers. p. 37. ISBN 978-1-85065-362-2. Archived from the original on 6 May 2016. Retrieved 12 October 2015. ↑ Manning, Patrick (1982). Slavery, Colonialism and Economic Growth in Dahomey, 1640–1960. London: Cambridge University Press. ↑ "President Sirleaf congratulates Benin on 57th Independence Anniversary". Agence de Presse Africane. 31 July 2017. Archived from the original on 30 July 2018. Retrieved 30 July 2018. ↑ Stokes, Jamie, ed. (2009). Encyclopedia of the Peoples of Africa and the Middle East: L to Z. Infobase Publishing. p. 229. ISBN 978-0-8160-7158-6. Archived from the original on 3 May 2016. Retrieved 12 October 2015. ↑ Araujo, Ana Lucia (2010). Public Memory of Slavery: Victims and Perpetrators in the South Atlantic. Cambria Press. p. 111. ISBN 978-1-60497-714-1. Archived from the original on 17 June 2016. Retrieved 12 October 2015. ↑ Dickovick, J. Tyler (9 August 2012). Africa 2012. Stryker Post. p. 69. ISBN 978-1-61048-882-2. Archived from the original on 2 June 2013. Retrieved 5 March 2013. ↑ Houngnikpo, Mathurin C.; Decalo, Samuel (14 December 2012). Historical Dictionary of Benin. Rowman & Littlefield. p. 33. ISBN 978-0-8108-7171-7. Archived from the original on 23 April 2014. Retrieved 5 March 2013. 1 2 3 4 Kneib, Martha. Benin. pp. 22–25. ISBN 0-7614-2328-1. ↑ "A Short History of the People's Republic of Benin (1974–1990)". Socialist.net. 27 August 2008. Archived from the original on 23 April 2010. Retrieved 2 May 2010. ↑ "Benin". Flagspot.net. Archived from the original on 12 June 2010. Retrieved 2 May 2010. 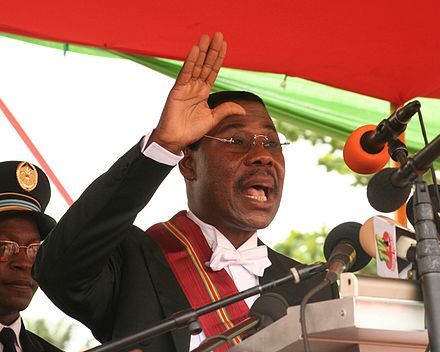 ↑ "Businessman sworn in as Benin's president". Reuters. 6 April 2016. Archived from the original on 17 April 2016. Retrieved 1 May 2016. ↑ "Newly-elected Benin president aims to reduce presidential terms". Reuters. 26 March 2016. Archived from the original on 3 May 2016. Retrieved 1 May 2016. ↑ "2014 Ibrahim Index of African Governance (IIAG)". Mo Ibrahim Foundation. 2014. Archived from the original on 30 May 2013. Retrieved 16 April 2015. ↑ "Countries Compared by Government > Government corruption rating. International Statistics at NationMaster.com". nationmaster.com. Archived from the original on 8 February 2011. Retrieved 13 February 2011. ↑ Communiqué du Conseil des Ministres du 22 Juin 2016 | Portail Officiel du Gouvernement Béninois. Gouv.bj (22 June 2016). Retrieved on 2017-01-02. ↑ Bénin : liste des 12 nouveaux préfets et des chefs-lieux de départements. Lanouvelletribune.info. Retrieved on 2017-01-02. ↑ Benin. 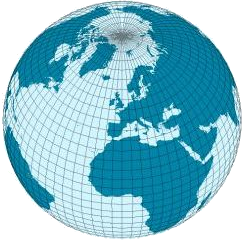 Geohive.com. Retrieved on 2017-01-02. 1 2 3 4 5 "Background Note: Benin" Archived 23 June 2017 at the Wayback Machine . U.S. Department of State (June 2008). This article incorporates text from this source, which is in the public domain. ↑ International Religious Freedom Report 2007: Benin Archived 19 January 2012 at the Wayback Machine . United States Bureau of Democracy, Human Rights and Labor (14 September 2007). This article incorporates text from this source, which is in the public domain. ↑ "Enquête Démographique et de Santé (EDSB-IV) 2011-2012" (PDF) (in French). Ministère du Développement, de l'Analyse Économique et de la Prospective Institut National de la Statistique et de l'Analyse Économique (INSAE). p. 39. Archived (PDF) from the original on 23 June 2017. Retrieved 20 April 2018. ↑ Henschel, P.; Coad, L.; Burton, C.; Chataigner, B.; Dunn, A.; MacDonald, D.; Saidu, Y.; Hunter, L. T. B. (2014). Hayward, Matt, ed. "The Lion in West Africa is Critically Endangered". PLoS ONE . 9: e83500. doi:10.1371/journal.pone.0083500. PMC 3885426 . PMID 24421889. ↑ "Background Note: Benin". State.gov. 3 February 2010. Archived from the original on 3 May 2010. Retrieved 2 May 2010. ↑ "2006 Benin Compact Summary" (PDF). Millennium Challenge Corporation. 2006. Archived from the original (PDF) on 3 February 2016. Retrieved 16 April 2015. ↑ "Serious violations of core labour standards in Benin, Burkina Faso and Mali". ICFTU Online. Retrieved 30 July 2007. ↑ "The World Bank In Benin". The World Bank. 10 October 2017. Archived from the original on 9 March 2018. Retrieved 14 March 2018. ↑ International Monetary Fund. African Dept. (2017). Benin: Request for a Three-year Arrangement Under the Extended Credit Facility-Press Release; Staff Report; and Statement by the Executive Director for Benin. International Monetary Fund. p. 5. ↑ "Benin". Country Reports on Human Rights Practices. U. S. Department of State. 23 February 2001. Archived from the original on 28 August 2010. Retrieved 17 September 2010. ↑ "Benin". U. N. Educational, Scientific and Cultural Organization. Archived from the original on 13 September 2010. Retrieved 17 September 2010. 1 2 3 4 5 6 7 8 9 10 11 Essegbey, George; Diaby, Nouhou; Konté, Almamy (2015). West Africa. In: UNESCO Science Report: towards 2030 (PDF). Paris: UNESCO. pp. 471–497. ISBN 978-92-3-100129-1. Archived (PDF) from the original on 30 June 2017. Retrieved 12 June 2017. ↑ "One Applauds AU Malabo Declaration's Recommitment to Agriculture Transformation". ONE.org. 2 July 2014. Archived from the original on 10 October 2017. Retrieved 12 June 2017. ↑ "HIV/AIDS—Adult Prevalence Rate". The World Factbook . Central Intelligence Agency. Archived from the original on 21 December 2014. Retrieved 16 April 2015. ↑ "Malaria in Benin". malaria.com. 24 February 2011. Archived from the original on 22 January 2015. Retrieved 16 April 2015. ↑ "Bamako Initiative revitalizes primary health care in Benin". WHO.int. Archived from the original on 6 January 2007. Retrieved 28 December 2006. ↑ "Maternal Mortality Rate". The World Factbook. Central Intelligence Agency. Archived from the original on 18 April 2015. Retrieved 16 April 2015. ↑ "Implementation of the Bamako Initiative: strategies in Benin and Guinea". NIH.gov. Retrieved 28 December 2006. ↑ "Benin". Archived from the original on 13 August 2011. Retrieved 30 July 2007. ↑ Mozey, Brian. (22 June 2016) Duo develops nonprofit organization, Baseball in Benin | Archived 5 August 2016 at the Wayback Machine . Post.mnsun.com. Retrieved on 2 January 2017. "Benin". The World Factbook . Central Intelligence Agency.